If you're looking to use a phantom-powered microphone with your DSLR, the obvious choice would be to get a XLR interface from JuicedLink or Beachtek. These boxes provide phantom power, the ability to use multiple microphones, mixing capabilty, audio meters, and a headphone jack for monitoring. While great tools, they can be a little overkill for a lot of situations where you just need a simple, affordable, small and lightweight way to connect you XLR mic, provide phantom power and have the ability to adjust the audio levels during recording. This is where the iRig PRE comes in. The iRig PRE from IK Multimedia is a 35 dollar (28 euros) XLR audio interface for iOS devices. While intended for use with programs like Garageband on the iPhone/iPad, a little adapter cable can turn it into a high quality DSLR audio interface. Because the iRig PRE is made to plug into the iPhone's headphone socket, it has a 4-part mini-jack plug instead of the standard stereo mini-jack plug that your DSLR has. To adapt the iRig PRE to your DSLR you'll need this $12 adapter cable, the "Headset buddy". 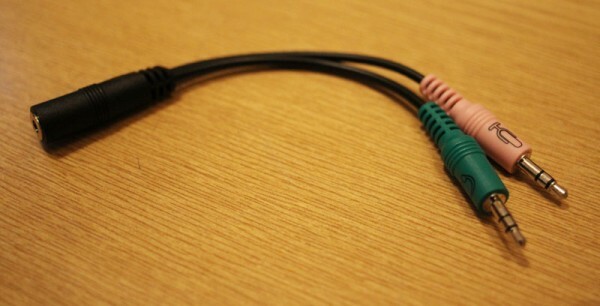 Plug the pink cable into your DSLR's microphone socket, and you're all set! If you have a DSLR with a headphone socket (like the 5D Mk III), you can also plug in the green cable into the camera's headphone socket and you'll be able to monitor the audio through the iRigs built-in headphone socket. 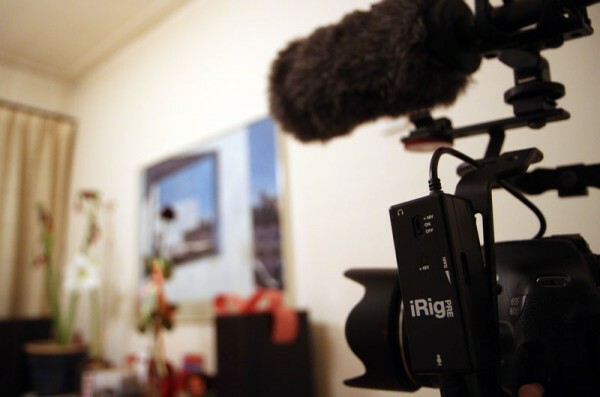 The iRig PRE also comes with a velcro strap, so you can easily attach it to your existing rig. This set-up allows you to connect professional grade XLR microphones to your DSLR, amplify the signal of not-so-sensitive microphones and adjust audio levels while recording, all in a small and lightweight form factor and at a price that's 10 times less than JuicedLink and Beachteks offerings.